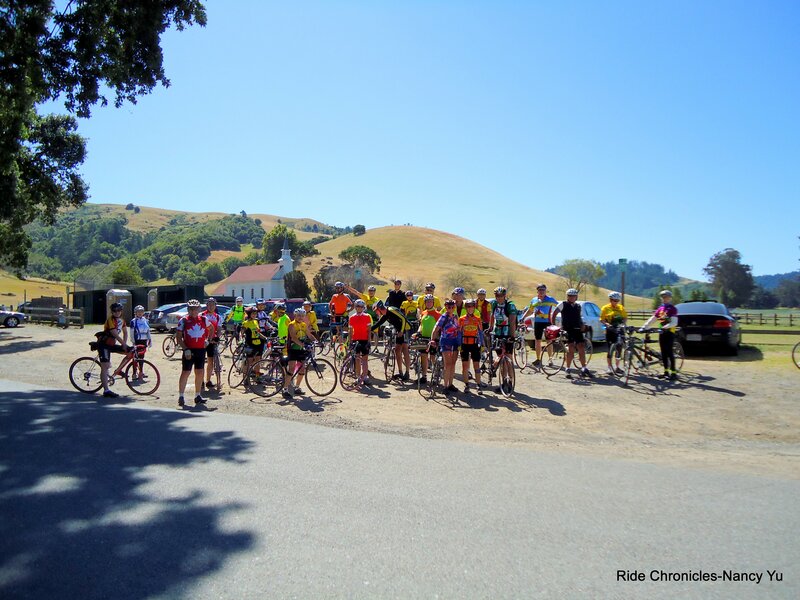 I co-lead the club’s Weds group ride starting from Nicasio out to Heart’s Desire Beach with Debbie Miskell. 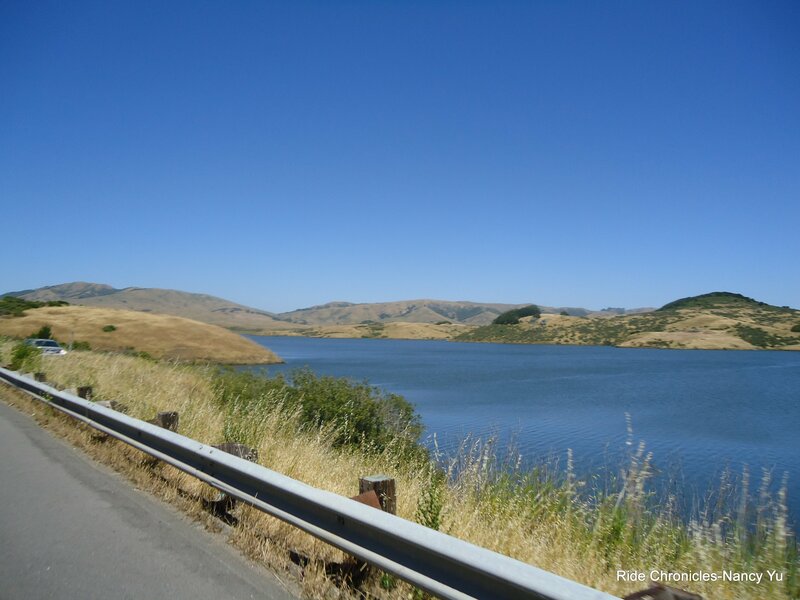 We take Nicasio Valley Rd, pass the reservoir and turn onto Pt Reyes-Petaluma Rd to Platform Bridge Rd. This section of the route is pretty flat with some small rollers in between. 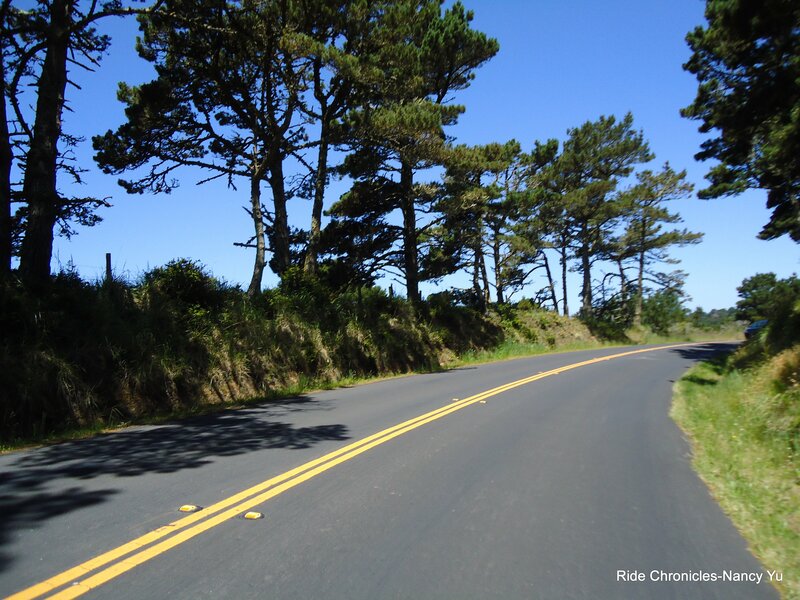 We turn on Sir Francis Drake Blvd for the climb on Olema Hill. 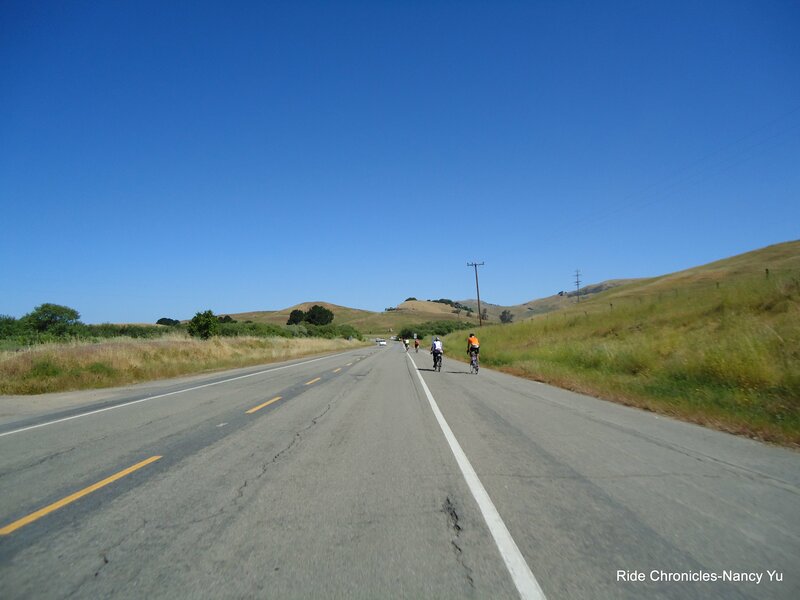 This stretch of road is maybe under a mile with a steady gradient of 7-8%. 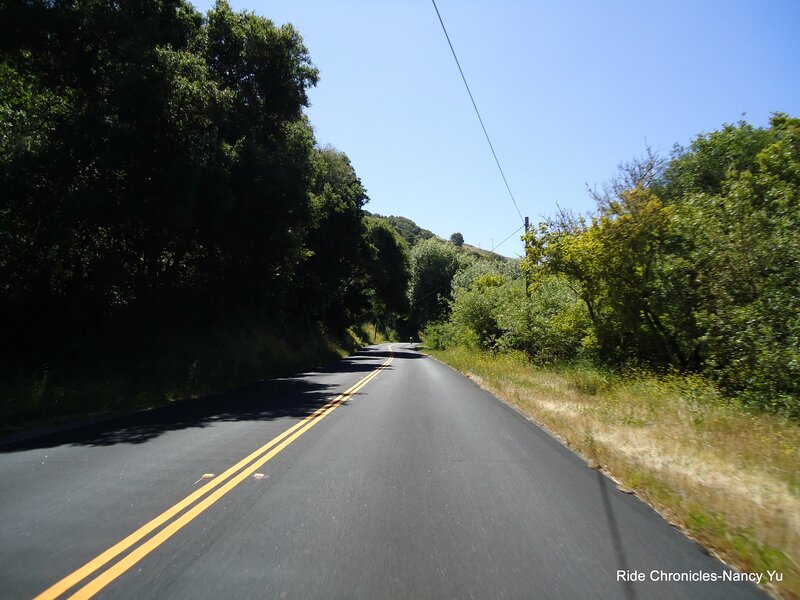 We drop down to Olema and take Hwy 1 to Bear Valley Rd and ride along Tomales Bay on Sir Francis Drake Blvd through Inverness. There is a regroup at the Inverness Store for people that need to purchase lunch or drinks. There is also a Porta-pottie available for public use. 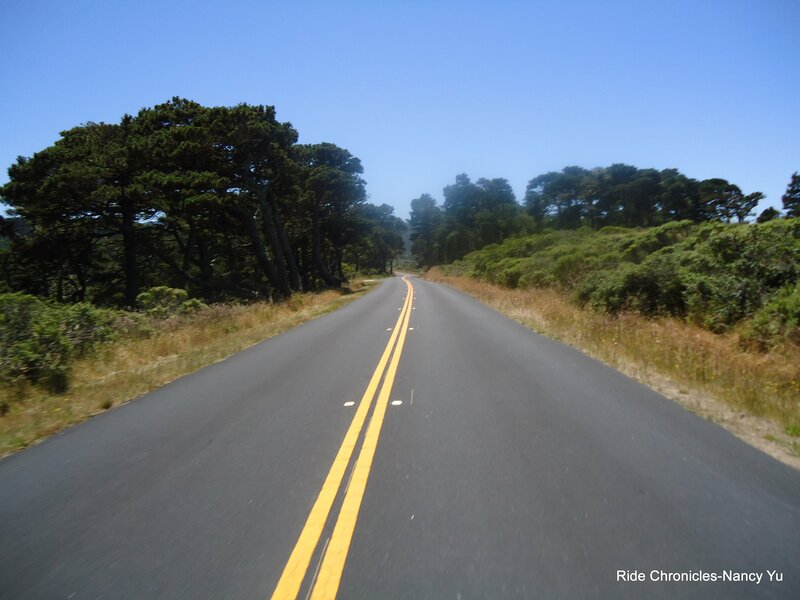 We continue west on Sir Francis Drake for the climb up to Pierce Point Rd. 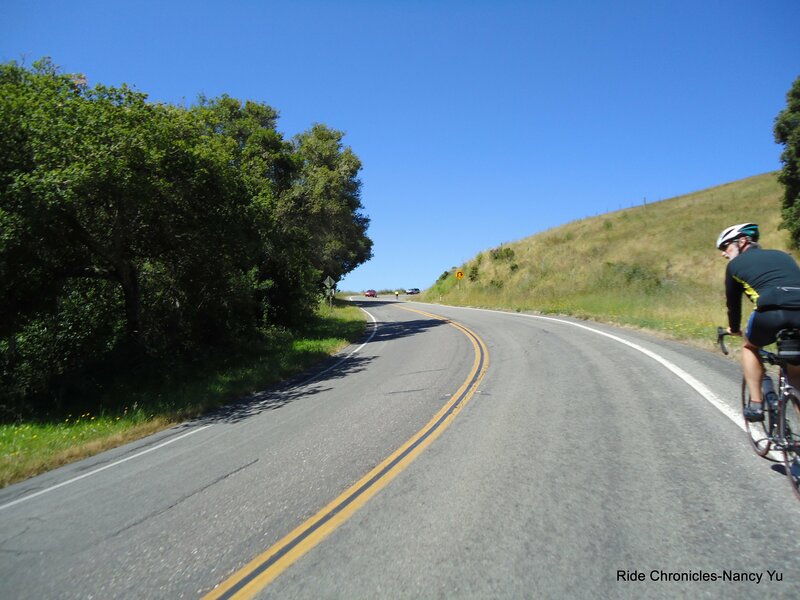 The gradient on this climb fluctuates from 9%-11% and maxing out at 13%. The road eases up at the top as we make the turn onto Pierce Point Rd. 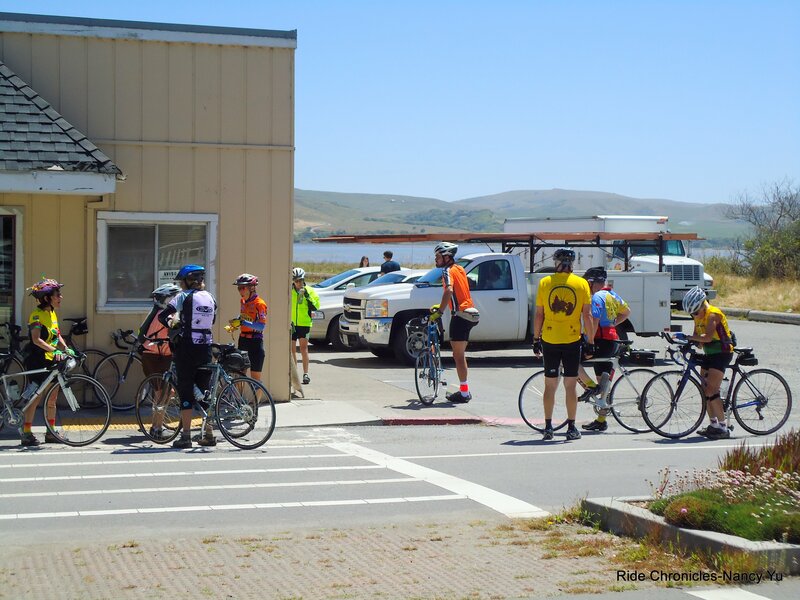 It’s a few little climbs before we turn into Tomales Bay State Park to drop down to Heart’s Desire Beach for our destination lunch stop. 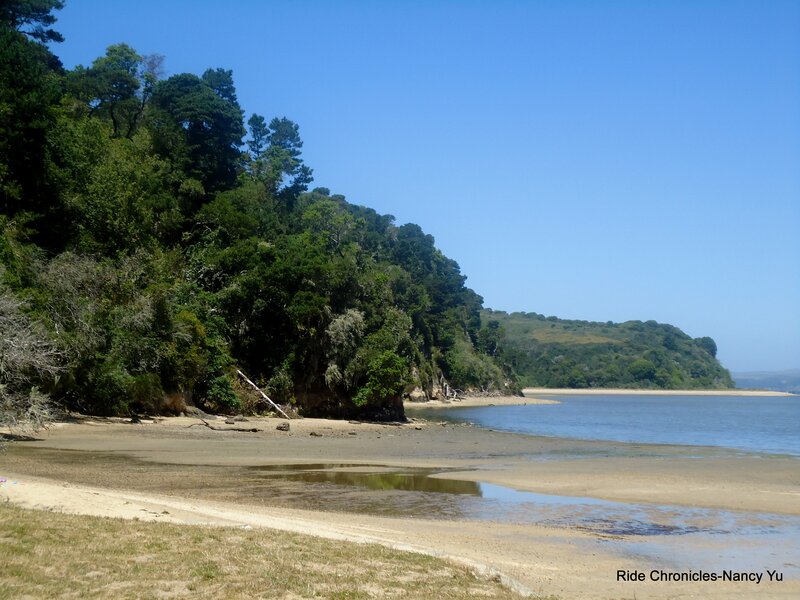 This beach is a sheltered cove on Tomales Bay with plenty of picnic tables. Restrooms and water are available. 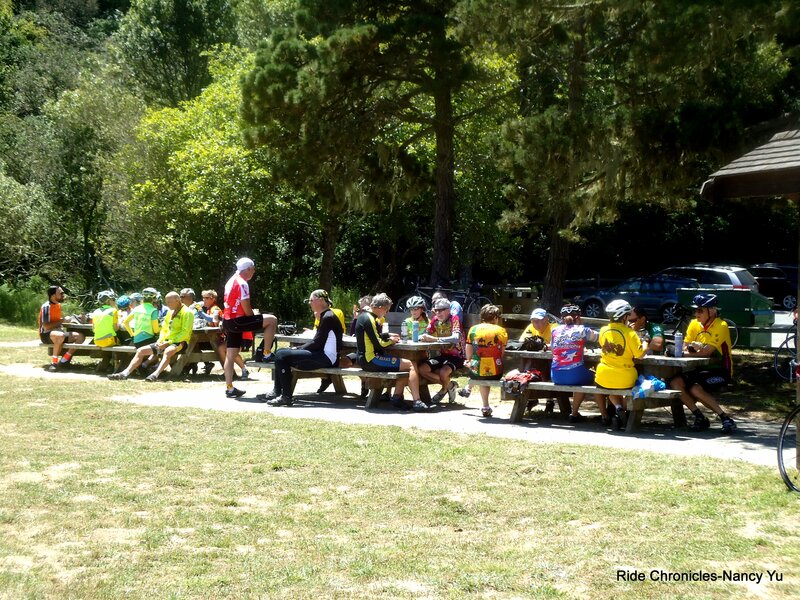 After lunch, we make the climb out of the beach area back to Pierce Point Rd and Sir Francis Drake Blvd. 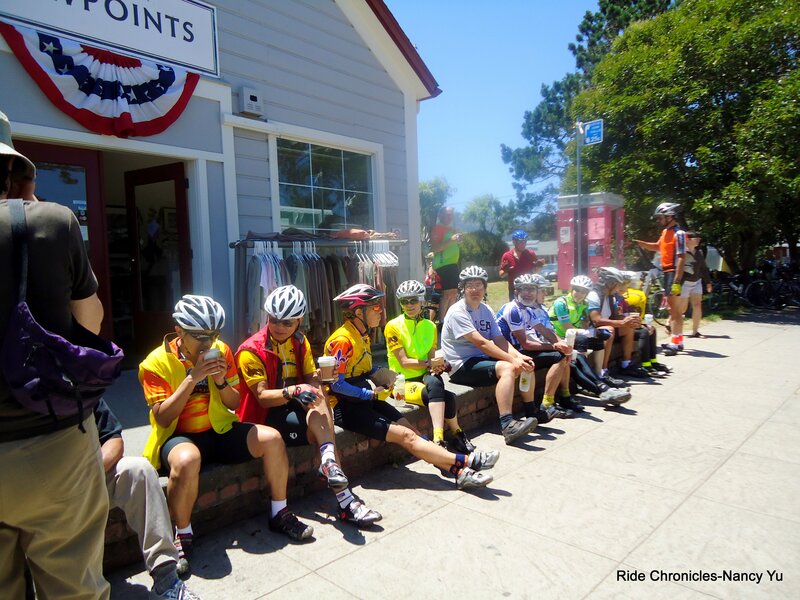 We head for Point Reyes Station to our next stop at the Bovine Bakery. 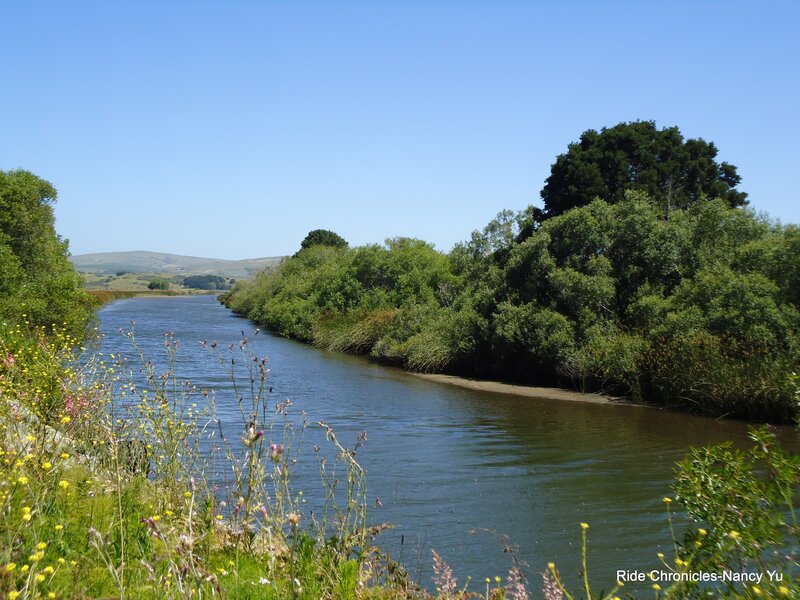 We return to Nicasio via Pt Reyes-Petaluma Rd and Nicasio Valley Rd. I continue on Lucas Valley back to Miller Creek Rd along with five other club members. Thanks to Wyatt for the pull back to the finish! Much thanks to everyone for a fun day of riding and socializing! 42 people came out for this beach outing. Nancy, Looks like you had a great time. You are really getting good at this blogging. Best of wishes to you and Michael for this week end. nancy, good luck this weekend. you GO girl.chris w.